About one-third of patients who were successfully treated to eliminate the hepatitis C virus continued to exhibit liver inflammation, a German study showed. The findings include people who took direct-acting antiviral (DAA) drugs, the current preferred therapy for the virus. “This is the first comprehensive study on a large patient cohort investigating the prevalence and risk factors for ongoing liver inflammation after eradication of hepatitis C,” wrote Christoph Welsch, MD, and colleagues at the J. W. Goethe-University Hospital in Frankfurt am Main, Germany. The team set out to investigate whether a patient with chronic hepatitis C would experience continued liver irritation after reaching sustained virological response (SVR), or undetectable levels of serum hepatitis C virus RNA 12 to 24 weeks after therapy ended. SVR, which signals the successful eradication of the virus, is achieved for most patients with novel treatment regimens, according to the study. SVR is typically accompanied by a return to normal levels of an enzyme called aminotransferase (ALT). While the blood commonly contains low levels of ALT, a diseased liver releases additional amounts into the bloodstream, providing a clue about the organ’s health. The German researchers collected data from 834 patients with hepatitis C in two separate groups. The first 341 people had been enrolled in a study between July 2003 and February 2007. The investigation compared a 48-week combined therapy of pegylated interferon alpha-2a, ribavirin, and amantadine sulphate with a placebo in patients who had never been treated for the virus. The second group of 493 people was seen at Goethe-University Hospital between January 2002 and May 2014. These patients received 1 of 3 therapies: only DAA regimens (175 patients, (35.5%)); interferon (IFN) and ribavirin without DAAs (173 patients (35%)); or IFN and ribavirin plus DAAs (145 patients (30%)). 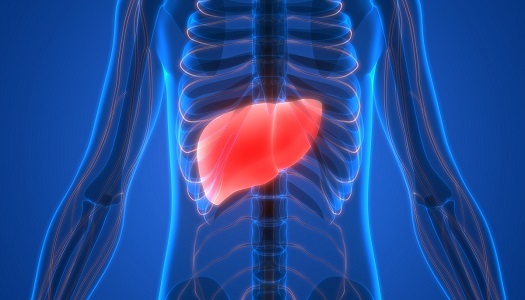 An “unexpected” high number of patients exhibited liver inflammation after SVR. Up to 10% had persistently elevated levels of ALT and another 25% showed amounts that “require further surveillance.’’ The remaining 65% had healthy ALT levels after the virus was extinguished, the researchers reported. Men who had achieved SVR were more likely to have elevated ALT, reinforcing previous observations on the course of the infection. Patients with advanced liver disease and steatosis were also strongly predictive for persistent ALT elevation. The researchers also noted that IFN-based treatment was correlated with post-SVR inflammation, adding weight to the benefit of IFN-free combination regimens. The study had some potential limitations. There weren’t enough data to explore the long-term impact of elevated ALT levels on morbidity among patients in the first study group. Also, enough time hadn’t elapsed to evaluate clinical long-term outcomes among DAA-treated patients. “However, some studies suggested an increased risk of mortality in patients with elevated liver enzymes independent of etiology,” the researchers said. The study, “Ongoing liver inflammation in patients with chronic hepatitis C and sustained virological response,” was published in PLOS One.